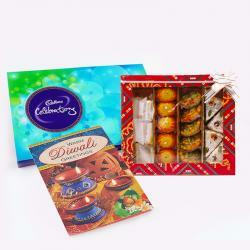 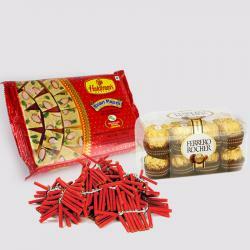 Product Consist : Box of Soan papdi (Weight : 500 Gms), 16 Pcs Ferrero Rocher chocolate Box, Diwali Card along with Pair of Diwali Earthen Diya. 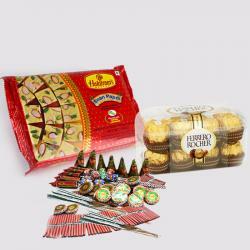 On the special occasion of diwali, light up the lives with the positivity and make the environment fresh and bright with Diyas, taste the sweetness of Soan Papdi and Ferrero Rocher chocolate gift this amazing combo of love celebration to your Office Staff, to your Boss, to your Family members and Friends. 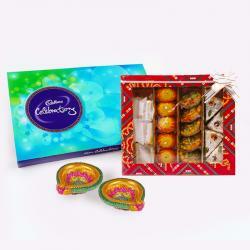 This combo is a perfect package of sweetness and positivity all together packed as a token of love and respect. 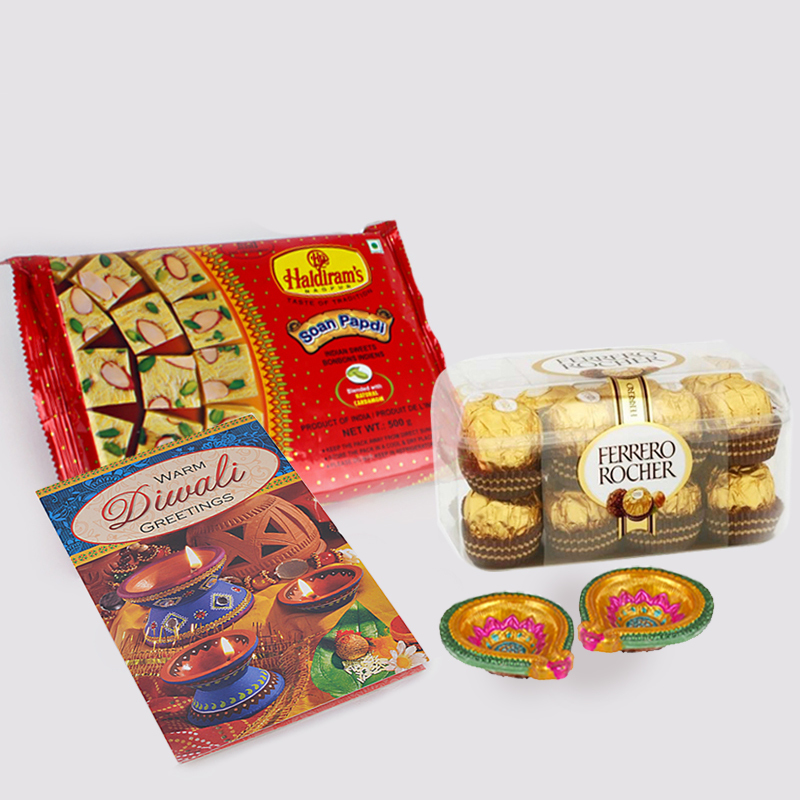 Product Includes : Box of Soan papdi (Weight : 500 Gms), 16 Pcs Ferrero Rocher chocolate Box, Diwali Card and Pair of Diwali Earthen Diya.